The iPad 2 Survivor Case is designed to withstand pretty much anything Mother Nature can throw at you and your device. Designed to meet or exceed the endurance expectations of the US Department of Defense Standard 810F, you are guaranteed that your iPad will be safe from harm when you're on the go. 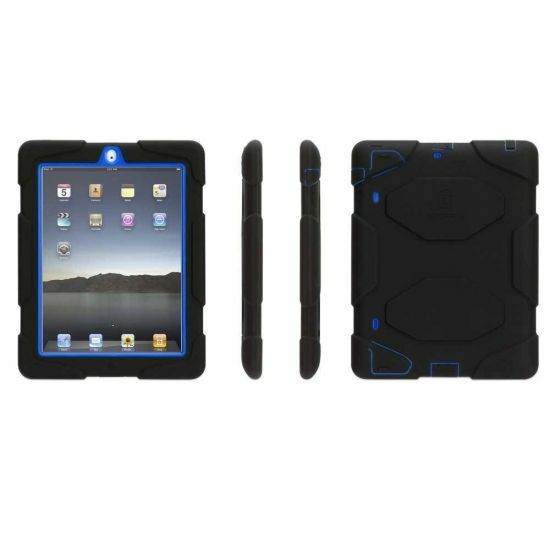 The iPad 2 Survivor Case is a concept based around a strong, shatter-resistant polycarbonate frame supporting shock absorbing, sturdy silicone, with a built in screen protector. It has discreet hinged plugs to seal the headphone port, dock connector, camera lens, hold switch and volume control, creating an aesthetically pleasing and phenomenally hardwearing case. It also comes with a clip-on stand that allows for horizontal typing and viewing.